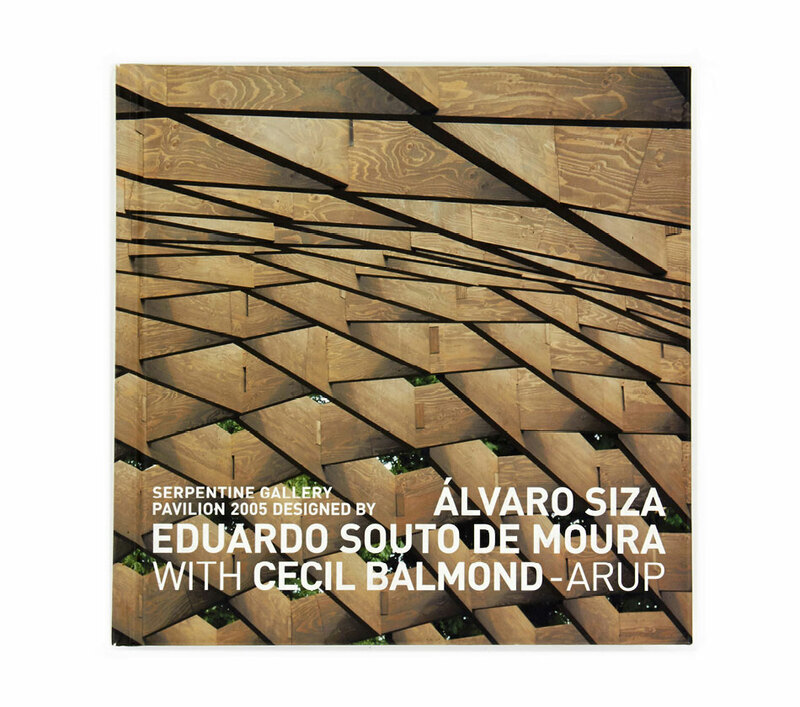 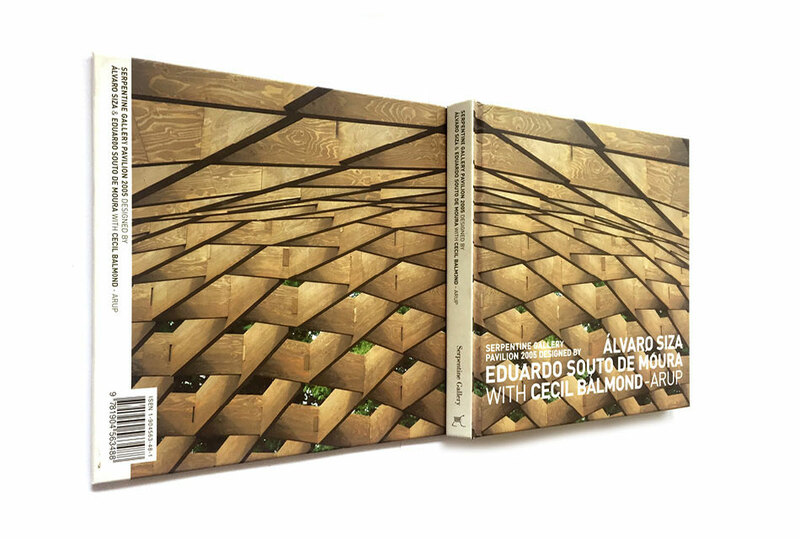 We were asked by Serpentine Gallery to create the book for the 2005 Pavilion which was designed by Portuguese architects Alvaro Siza and Eduardo Souto. 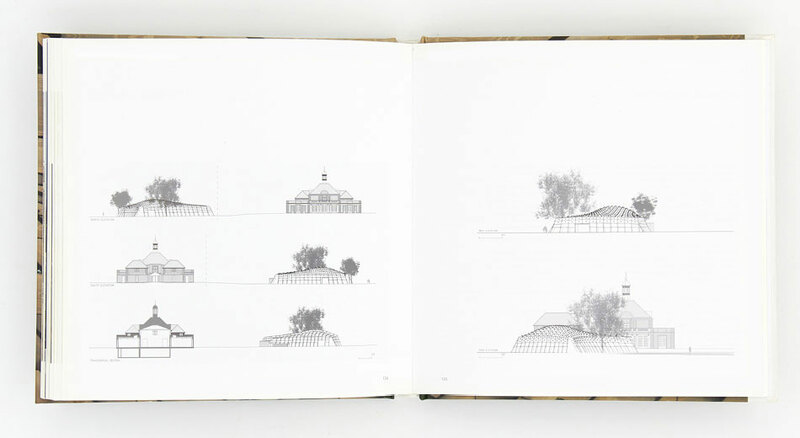 The Pavilion was based on a simple rectangular grid, which was distorted to create a giant and febrile carapace. 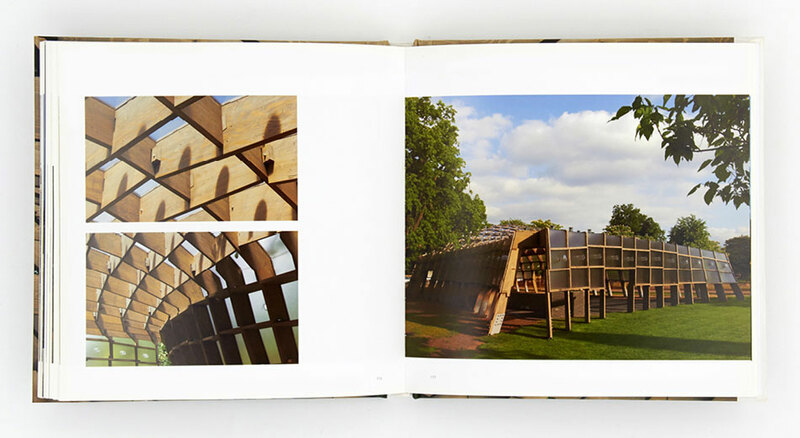 It comprised of interlocking timber beams, a material that accentuated the relationship between the Pavilion and the surrounding Hyde Park. 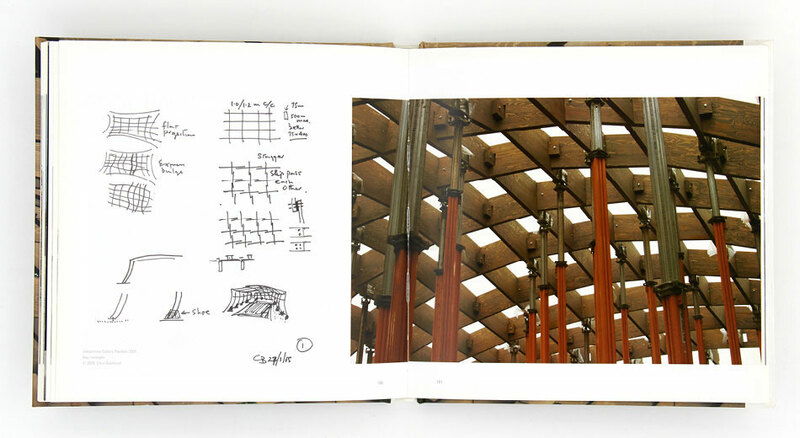 We worked closely with Alvaro Siza and Serpentine Gallery curator Julia Peyton-Jones, to create a book that follows the story from the pavilion’s inception to its completion, organising each chapter by editing hundreds of images, so that it outlined the different processes involved. 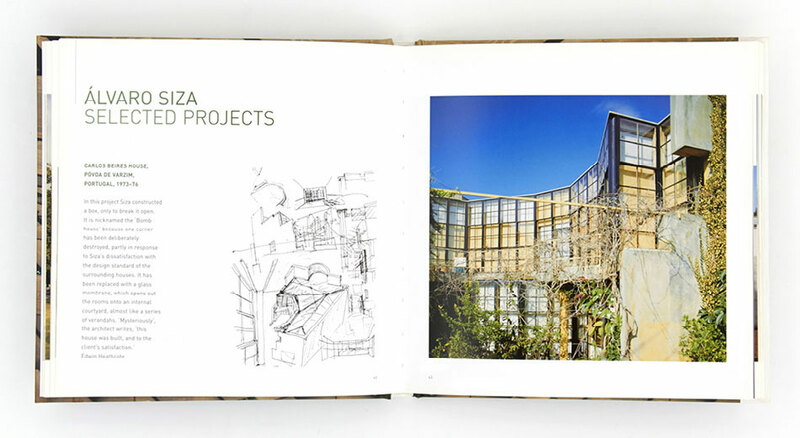 The design was consciously simple so as not to overpower the photography and drawings.